Born in 1965 in Duisburg, Germany, Frank Peter Zimmermann started playing the violin when he was 5 years old, giving his first concert with orchestra at the age of 10. After finishing his studies with Valery Gradov, Saschko Gawriloff and Herman Krebbers in 1983, Frank Peter Zimmermann has been performing with all major orchestras in the world, collaborating on these occasions with the world's most renowned conductors. His many concert engagements take him to all major concert venues and international music festivals in Europe, the United States, Japan, South America and Australia. Highlights during the 2011/12 season include residencies with both the New York Philharmonic with conductors Alan Gilbert and Christoph von Dohnanyi (including a tour through Europe, as well as a recital and a chamber music concert in New York), and the Bamberger Symphoniker with conductors Manfred Honeck and Jonathan Nott, and engagements with a.o. the Chicago Symphony Orchestra / Bernard Haitink, the Boston Symphony Orchestra / Juraj Valcuha, the Berliner Philharmoniker / Mariss Jansons, the Orchestre National de France / Daniele Gatti, the Filarmonica della Scala / Daniel Harding and concerts in Australia with the orchestras of Sydney and Melbourne. During the 2010/11 season he performs with a.o. the Royal Concertgebouw Orchestra / Mariss Jansons, the Gewandhaus Orchestra Leipzig / Riccardo Chailly, the Cleveland Orchestra / Thomas Dausgaard, the Bamberger Symphoniker / Herbert Blomstedt and the London Philharmonic Orchestra / Jukka-Pekka Saraste. He is "artist-in-residence" of the Symphonieorchester des Bayerischen Rundfunks with conductors Adam Fischer, Stéphane Denève and Yannick Nézet-Séguin. 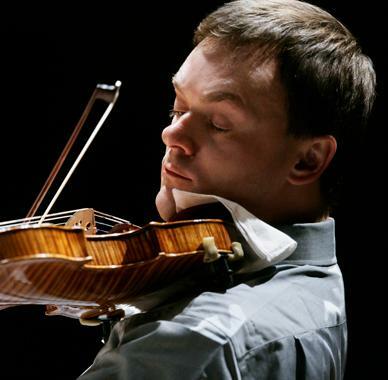 Frank Peter Zimmermann has given world premieres of 3 violin concertos: in 2009 the violin concerto no. 3 “Juggler in Paradise” by Augusta Read Thomas with the Orchestre Philharmonique de Radio France and Andrey Boreyko; in 2007 the violin concerto “The Lost Art of Letter Writing” by Brett Dean, who received the 2009 Grawemeyer Award for this composition, with the Royal Concertgebouw Orchestra, conducted by the composer; and in 2003 the violin concerto “en sourdine” by Matthias Pintscher with the Berlin Philharmonic Orchestra and Peter Eötvös. Also an avid chamber musician and recitalist, Frank Peter Zimmermann gives numerous concerts worldwide. His interpretations of the classical, romantic and 20th Century repertoire are received with great critical acclaim from press and public alike. His regular recital partners are pianists Piotr Anderzewski, Enrico Pace and Emanuel Ax. Together with viola player Antoine Tamestit and cellist Christian Poltéra he forms the Trio Zimmermann; the string trio performs in a.o. Amsterdam, Brussels, Cologne, London, Lyon, Milan, Munich, Paris and Vienna, as well as during the festivals in Salzburg and Edinburgh. Their CD recording of trio works by Mozart and Schubert was released in November 2010 by BIS Records. Frank Peter Zimmermann was awarded the ‘Premio del Accademia Musicale Chigiana, Siena 1990’. In April 1994 he received the important Rheinischer Kulturpreis 1994 and in October 2002 the Musikpreis of the city of Duisburg. On 21 January 2008 he received the “Bundesverdienstkreuz 1. Klasse der Bundesrepublik Deutschland”. In recent years Sony Classical released a number of new cd recordings: the Tchaikovsky violin concerto with the Oslo Philharmonic Orchestra / Manfred Honeck; the Bruch violin concerto no. 1 with the Royal Philharmonic Orchestra / Paavo Berglund; the Busoni violin concerto with the Orchestra Sinfonica Nazionale della RAI / John Storgards coupled with the Busoni violin sonata no. 2 with pianist Enrico Pace; the 6 violin sonatas by J.S. Bach, again with Enrico Pace; and – in January 2009 - his recordings of the 2 violin concertos of Szymanowski with the Warsaw Philharmonic Orchestra / Antoni Wit and of the Britten violin concerto with the Swedish Radio Symphony Orchestra / Manfred Honeck. His second recording of the Sibelius violin concerto, this time with the Helsinki Philharmonic Orchestra / John Storgards, was released by the Ondine label in September 2010. 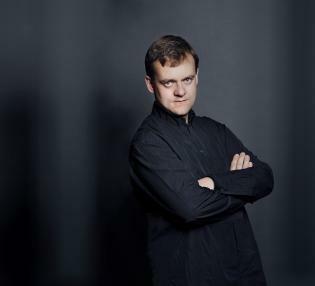 In the past Frank Peter Zimmermann has recorded virtually all major concerto repertoire for EMI Classics, ranging from Bach to Weill, as well as many works from the recital repertoire. On Teldec Classics he can be heard in the violin concerto of Ligeti with the ASKO Ensemble and Reinbert de Leeuw. In 2006 ECM Records released his recording with Heinrich Schiff of duo works for violin and cello by Honegger, Martinu, J.S. Bach, Ravel and Pintscher. Many of the above recordings have received prestigious awards and prizes worldwide. Frank Peter Zimmermann plays a Stradivarius from 1711, which once belonged to Fritz Kreisler, and which is kindly sponsored by the WestLB AG.